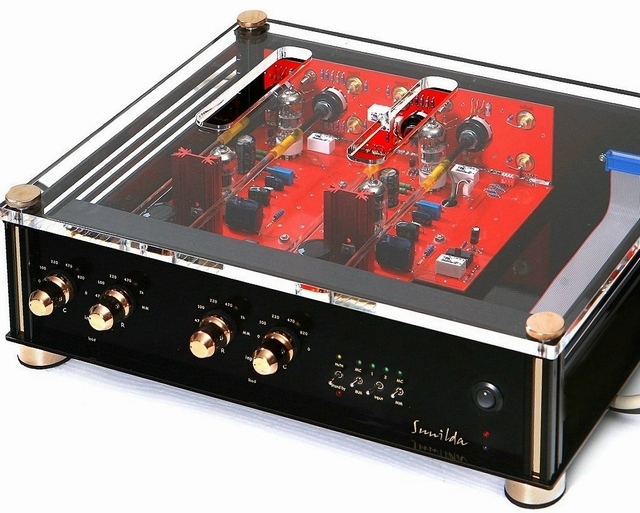 Sunilda is a three stage phono-preamplifier, based on 6922 (ECC88) and 12AX7 (ECC83) frame grid tubes, suitable for two MM- and MC-cartridges at the same time. Independently for the two phono inputs, impedance and capacitive load can be set separately and 'on-the -fly' while listening. Thus the user can easily configure the unit to match the features of the cartridge by selecting the optimal input resistance and capacitance for each input separately!